At Mayo Clinic, we combine medical research and education to ensure we are able to continuously improve our practice, and provide the best possible care to each patient every day. One of the ways we fulfill this mission is to share what we learn, both internally, and with peers across the continuum of health care delivery. This includes presenting research findings at national and international conferences, such as the Society of Behavioral Medicine’s annual meeting. The Society of Behavioral Medicine combines nursing, psychology, medicine and public health in an interdisciplinary forum to promote new understanding of human behavior, health and illness. 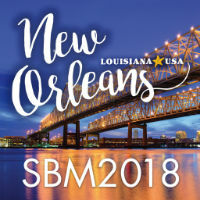 At its annual meeting, April 11-14, in New Orleans, the society will convene more than 2,300 behavioral and biomedical researchers and clinicians to share research, learn from each other, find ways to collaborate, and address public policy concerns. Wednesday, April 11, 6:30-7:30 p.m.
Thursday, April 12, 10:45-11 a.m.
Thursday, April 12, 6:15-7:15 p.m.
Friday, April 13, 4:15-4:30 p.m. The results of many other projects will be presented by researchers from various institutions with which Mayo Clinic collaborates. For complete listing of all Mayo Clinic research at the Society of Behavioral Medicine 39th Annual Meeting, visit the event website. Abstracts are also available on the site.